Machining cost reduction due to 3-5 times longer tool life. Machining cost reduction due to 3-5 times higher machinability. Streamlining machining processes by eliminating rough machining. Possibilities of eliminating polishing due to better machinability at high speed. Possibilities of eliminating heat treatment process. Higher resistance levels against pressure, wear and corrosion compared with normal materials. Better machinability which may lead to multi-machine operation per person. 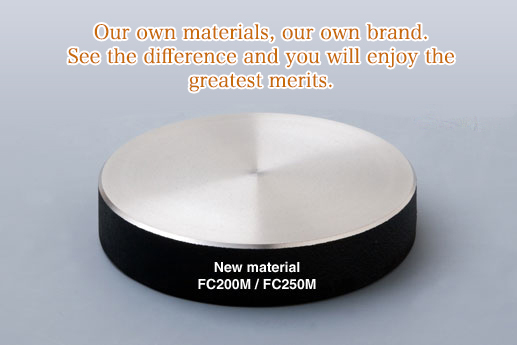 We have developed the new materials by improving characteristics of the traditional FC casting with virtually zero increase of cost.